Cranes, Cats and SkyTraks, Oh My! 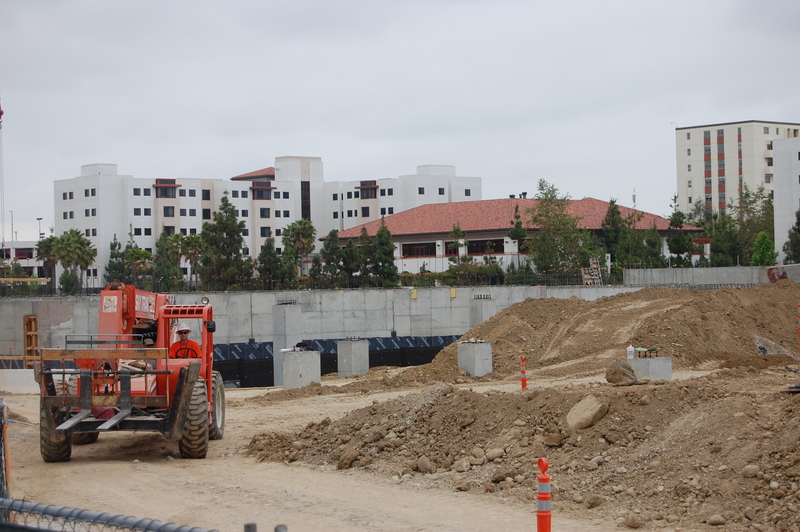 If you’ve been by the Aztec Student Union construction site, you’ve probably noticed a lot of activity the past few days. There’s the crane that’s in constant action as the wall crews continue to pour more concrete. We’re up to wall No. 23 at this point! 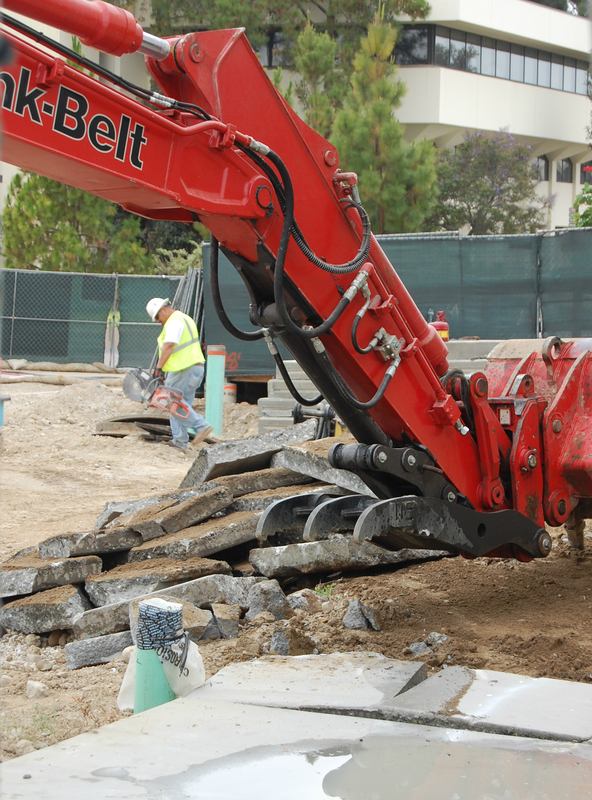 After moving the fence bordering the west side of the site between the San Diego Trolley and Manchester Hall, the project crew immediately began pulling up pavers and sidewalk. They’ll work in that corner for the duration of summer so the fence can be moved back in time for the start of the fall semester — and the many pedestrians that come with it. 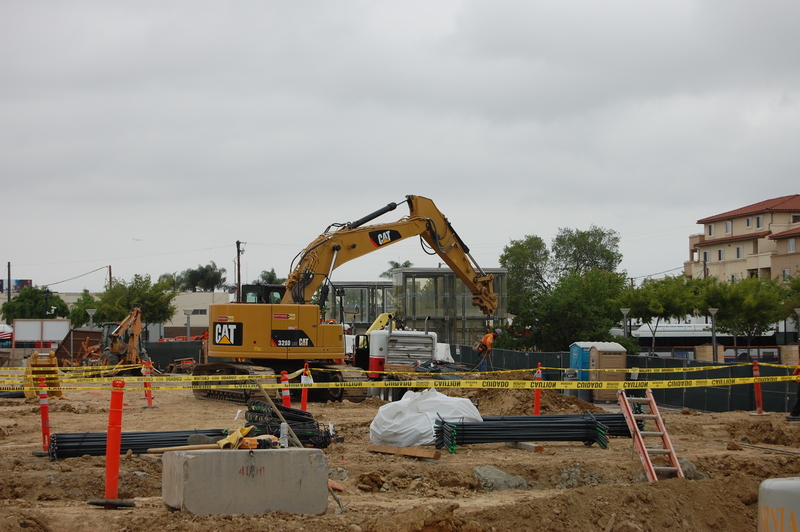 There’s also the Cat loader that’s moving supplies across the project site. Here you can see a crew member attaching some chains to the much-needed supplies on the truck. And finally the SkyTrak forklift, which also helps move things along on the site. 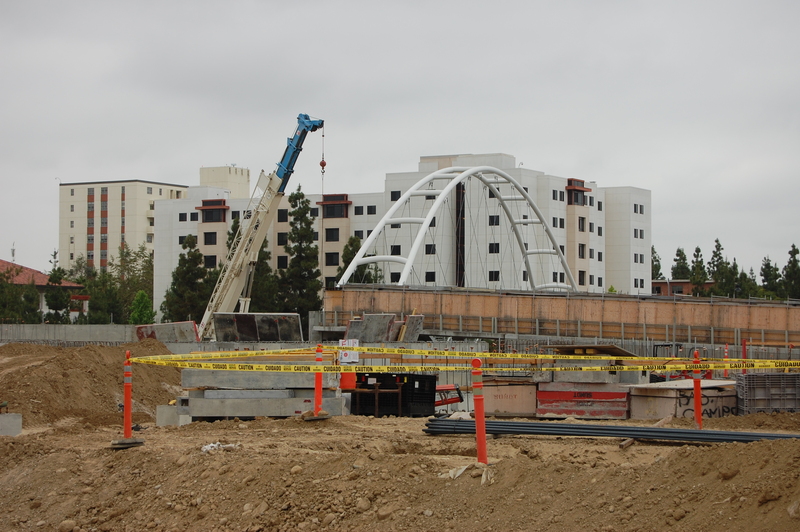 Thanks to heavy equipment and the hard-working project crew, Aztec Student Union is coming together slowly, but surely! 1 Response to Cranes, Cats and SkyTraks, Oh My!